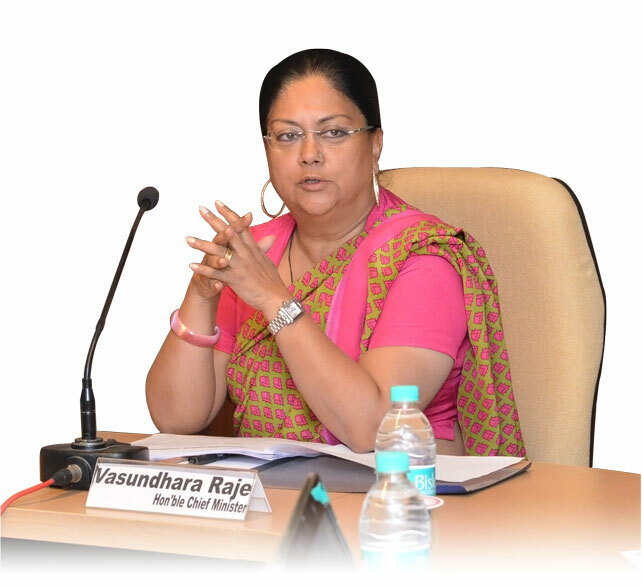 Ever since Rajasthan chief minister Vasundhara Raje began her second innings at the helm, she has been pushing policy change to turn the state into an attractive investment and employment-friendly destination. This includes the overhaul of labour laws—something which was emulated more recently by the Union government—allowing a greater role for the private sector and, at the same time, taking care to ensure the spoils of growth are shared equitably. Raje led the Bharatiya Janata Party (BJP) to a spectacular win in the December 2013 assembly elections after narrowly losing power in 2008 and later, in tandem with Narendra Modi, ensured a complete sweep of the state in the 16th general election. In an interview to Mint, the chief minister dwelled on what she described as the Rajasthan model of development and also provided a glimpse of what lies ahead for the state. You have started your new tenure at the helm with a bang. What is your vision for the state for the remainder of your term? Our electoral mandate reflected an obvious unease with the status quo, but, more importantly, it reflected impatience with being left behind as some other states accelerated the creation of shared prosperity. During my last term, many of our initiatives took time to yield results and this time, we were clear that it was important to start early. The election campaign reinforced feedback during my time in the opposition that people were seeking holistic development and, consequently, we have conceived of a Rajasthan model of development anchored around three pillars: social justice, effective governance and job creation. I believe we don’t live in an economy but in a society; economic growth is an objective worthy of pursuit if, and only if, it benefits every citizen. However, experience suggests delivering social justice is not always possible without the resources that economic growth generates. A modern state is a welfare state that creates jobs; this need for balance is the new normal for Indian politics. Our social justice initiatives have various vectors: restructuring our distribution system by converting ration shops into Annapoorna Bhandars that will offer 150 products to consumers at below market prices; being the first state to amend the Right to Education Act with the objective of converting this into the Right to Learning Act; exploring PPPs (public-private partnerships) for health delivery in rural areas; rolling out the Bhamashah platform for family choice between cash and non-cash subsidies directed by the woman of the house; and driving the largest state skill mission of any country in a demand-driven partnership with 300 employers. The vector of effective governance started with our law reform project that has three phases: repeal, consolidation and effectiveness. The cabinet has cleared the repealing of 248 laws. This will be followed by consolidation. Example: we propose to collapse the number of higher education laws that currently stand at 75. The third phase of effectiveness will re-evaluate the role of each law from a citizen’s perspective. Job creation is a complex phenomenon that depends on many a complex cocktail of infrastructure, ease of doing business, labour regulation, skills and much else. Rajasthan was the first state to obtain presidential assent under Article 254 (2) to amend various labour laws. These have been complemented by various procedural changes such as the online single-window for industries, labour and our pollution control board. The recent ranking of state governments puts Rajasthan at six; this is a far cry from our BIMARU (Bihar, Madhya Pradesh, Rajasthan, Uttar Pradesh) status, but we have much distance to cover. Rajasthan is also India’s largest state, and this means we have put together a large land bank for potential investors. The last two years were about synthesizing the model; the next three will be about executing it. Your state has taken the lead in pushing second-generation reforms. Since they are politically difficult decisions, how are you handling their implementation? Reform in a vibrant democracy is not the solving of a sum but the painting of a picture. Most business people and economists underestimate the complexities and difficulties of reform arising from the political economy now that low-hanging fruit has been picked. I sense our task has been easier because our citizens recognize that some tough decisions are required for Rajasthan to catch up with the other states. In that sense, all our actions are largely in response to what citizens want: jobs, better government interface, more effective schools, less laws but better enforcement, and much else. However, every decision has multiple perspectives and all our actions have involved a deep consultative process, but it is important for every government to act on its convictions. It is my good fortune that citizens, government employees and investors are responding with energy to Rajasthan’s renewed sense of destination and destiny. You have embarked on a plan to overhaul the public distribution system. Again, you have approached it differently by making the private sector stakeholders. How is it working out? A modern state is a welfare state. But it is an important responsibility for state governments to ensure that government spending is targeted, effective and efficient. Our traditional vehicles for cash and non-cash subsidies have not only been wasted but been poor, if not humiliating, experiences for citizens. We view the overhaul of our ration shops as complement to the capabilities of the Bhamashah platform. We also view this particular partnership with the private sector for ration shops as part of an experiment in working with the private sector to harness its human capital, competencies and efficiencies for effective public service delivery. Based on results, we will explore expanding this to other areas. This does not mean state withdrawal, but I think alternate service delivery models co-existing will enable benchmarking and create the competition so important for higher levels of innovation and performance. What is your administration’s view on the goods and services tax (GST)? Do you think it will benefit the state? GST is a very important reform not only for making manufacturing competitive but also improving the ease-of-doing business. Rajasthan has been a consistent supporter of GST and all our concerns have been addressed by the centre. It is very important that this important legislative infrastructure for prosperity goes live soon. The 14th Finance Commission has reordered the fiscal relations between the centre and the states. How do you perceive it? How have you dealt with this fiscal empowerment? We don’t view the Finance Commission’s recommendations in isolation; they are part of a broader theme of co-operative federalism that involves transferring funds, functions and functionaries to state governments. India is too big and complex for single templates and the new space created for state governments makes us responsible for our own destinies. Of course, we endorse the recommendations of the Commission as we await more details around execution. One of the biggest challenges facing your administration is the outstanding power sector dues. What is your plan to address this? Power is a complex national challenge; energy subsidies are needed for many people but they must be sustainable. The current Rs.80,000 crore debt of our state electricity distribution companies is on account of the opening balance that our government inherited and is largely a child of ineffective distribution. We are pursuing an integrated framework for power reforms focused on the viability of distribution companies that envisages a role for the private sector under a distribution franchise model in the areas identified. We are also looking at partial or full divestment of some of our generation assets to raise resources and improve operational efficiencies of our genco (power generation company), besides working on debt restructuring. But despite these headlines, we provide industry (as also domestic and other consumers other than agricultural consumers) with 24×7 power and have embarked on a massive solar and renewable energy programme. We are already No. 1 in the country in solar generation capacity and our physical landscape means that this area offers us a huge energy solution that is scalable, sustainable and desirable.